When a robot automates your Alloy Exchange System, it eliminates the need for heavy lifting when one tray needs to be transferred from one station to another. This adds value and limits safety liabilities. 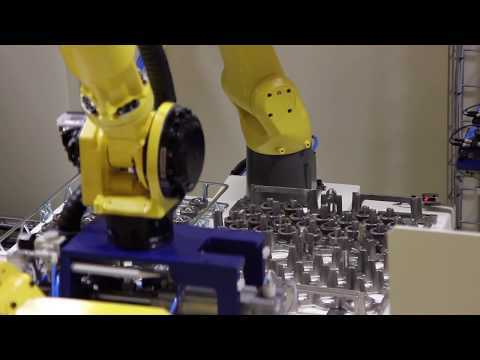 In an Alloy Exchange System, two robots work in tandem to unload parts from one tray (usually plastic) to another (usually metal) in preparation for the exchange. This ensures the system is consistent and precise, which leads to increased productivity and quality. 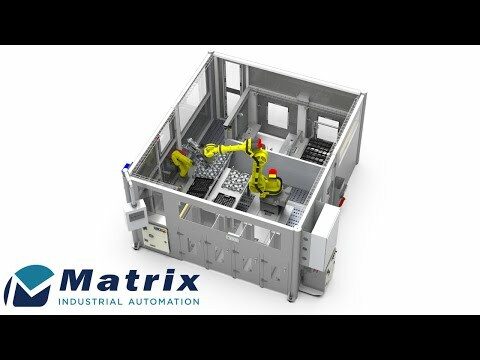 Check out our video and contact us for a chat about what an automated Alloy Exchange System can do for you.